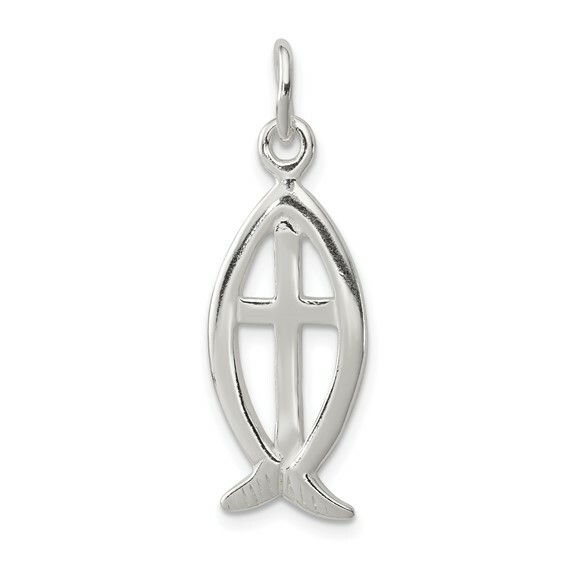 Sterling Silver Ichthus(fish) w/ Cross Charm. Weight:1.5 grams. Measures 13/16 inch tall by 3/8 inch wide without bail. In Greek, the initials of Jesus Christ, Son of God Savior spell the word ichthus, fish. Early Christians also refer to Christ's apostles as fishers of men.